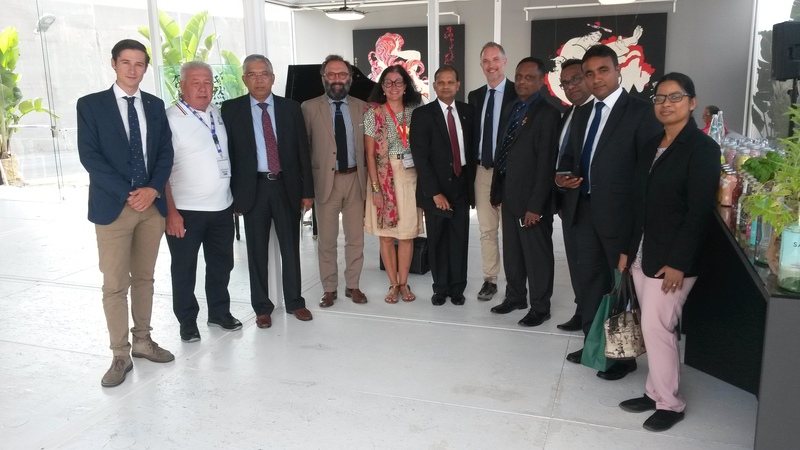 The delegation was welcomed by the Italian Marine Industry Association, known as UCINA. Dr. Andrea Razeto, Vice President of UCINA and also the current president of ICOMIA,in his discussion said that UCINA is very optimistic about the Sri Lanka’s potentials to develop its’ boat industry and possible assistance from UCINA side etc. While sharing UCINA’s success story he said that their members are ready to share the boating know-how, technological transfer and access to market to Sri Lanka boat manufacturers, mainly with achieving the objectives of the newly launched National Export Strategy of Sri Lanka. Delegation, also had meetings and site visits to leading Italian Boat manufacturers i.e. the Group President of Sanlorenzos.p.a Mr. Ferruccio Rosi, President of Amer Yacht, Ms. Barbara Amerio, President of Assomarinas Dr. Roberto Perocchio, President of FB Design Company srl Mr. Fabio Buzzi, President of F.lli De Angelis Company Mr. Gaebauo De Angelis, CEO of Rancraft Yachts Mr. Guiseppe Ranieri, President of Nuova Jolly Marine srl Mr. Teo Aiello, owner of International Marine Company Mr. De Vita Salvatore, owner of Delta Blue Company Mr. Carlo Carniti, and expressed our expectations to have medium and long-term partnerships in the industry. This visit also gave an excellent opportunity to promote Sri Lanka Boat Show and Boat Festival to be held from 26th to 28th October 2018 in Galle Yacht Marina, among the Italian boat manufacturers. The delegation was assisted by Mr. Somasena Mahadiulwewa, Minister (Commercial) of the Embassy of Sri Lanka in Rome and Ms. Prasadi Boomawalage, Assistant Director of Commerce, Department of Commerce.